Welcome to Top Ten Tuesday! Today’s official topic from That Artsy Reader Girl is Hidden Gems. I find it’s always helpful to set some parameters with a topic like that, and this time I decided I would focus on indie (independently published) and small press books that I think deserve more love. All of the books listed in this post have fewer than fifty reviews on Amazon, and as many of you would know, fifty reviews is kind of a big deal on Amazon because some cross-promotion begins happening then. With the exception of the first book on this list (which I only finished reading today, and will have a review for on Thursday) each of these books are ones that I have personally read and enjoyed. They represent a variety of genres, so why not pick one and give it some love! This is an absolutely riveting read about a group of teens who go on a mission trip to Indonesia that takes an unexpected turn for the worse when religious tensions erupt. Make sure you stay tuned for my review! This is the second book in Toni Shiloh’s Freedom Lake series, and the best book she has written to date, in my opinion. These two have to overcome some significant past hurts in order to grasp the future they could have. Another second-in-the-series, Grace in the Shadows continues the story of Esther Macdonald that began in Grace in Strange Disguise. Esther has survived cancer, but wounds within her family remain unhealed. Jennifer Rodewald really knows how to put your heart in a vise. Newlyweds Ethan and Brandi have a heart for foster children, but eleven-year-old Sonja adds extra strain to a marriage that is already beginning to show its cracks. It’s raw and real, but so worth the read. This is a great series if you’re looking for a historical romance that’s on the lighthearted side. Samantha Klein might come from a high-society family, but she has a heart for the downtrodden. When she’s forced to strike out on her own, she purchases Cameron Wallace’s smithy and turns his neatly ordered world upside down. This is such a cute, quirky novella that I became an instant Christina Coryell fan once I’d read it! Willow Sharpe is a chatty fairy artist with multi-coloured pastel hair, and Clint Kirkland is the burly, bearded, and very non-chatty landscaper who nearly mows over her fairy village. A Civil War story that will have you stalking the author for the next book! So apologies in advance. 😉 War brings many changes to Margaret Bryant’s privileged life and tests everyone, whether they be at home or waiting to face down the enemy. Another war-time romance, this time during the American Revolution. Rachel Garnet’s sense of Christian duty compels her to help a badly wounded British officer when she hears his groans on the quiet battlefield. But each day of his recovery increases the risk of discovery—and the risk to their hearts. This novel is based on the interesting, and perhaps slightly controversial premise that Priscilla may have been the vessel through whom the book of Hebrews was written—or ‘breathed’, to use the novel’s parlance. It’s beautifully written, and a wonderful exploration of what Priscilla’s life may have been like. This is the second book in the Creek County Saga, and I definitely recommend starting with book one, but it currently has a lot more love than book two. Totka has to wait a year before he will be allowed to see his beloved Copper Woman again, but in the meantime he has promised to give her Jesus Creator a chance to prove his existence. I absolutely adore these characters and this series! 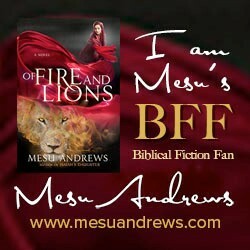 Image | This entry was posted in Christian Fiction, Top Ten Tuesday and tagged Reading. Bookmark the permalink. Ooh, some very interesting reads! Thank you! I love your take on the topic! Those 50 reviews proving very hard work. Made much harder by recent changes at Amazon. Book 1 has 53 on US Amazon and 24 on Australia (sadly they’re not all put on the same site + 7 UK and 1 Canada) but book 2 is languishing with 5! and 7 on Australia. They are hard work! And it’s such a shame when good books get overlooked. Thanks to your review, I read the first two of April Gardner’s series and LOVED them. I’m planning on finishing the series. Have you read Kim Cash Tate’s Promises of God series? If not, you should definitely check them out! I haven’t. Thanks for the suggestion! Delighted to see unfamiliar titles for me to check out! Thank you for sharing! Some knew-to-me authors. Thank you. My pick is also up. Oo I see some goodies listed! YES! I love your spin on the topic. I put some small press books on my list, too. If I was rich, I think I’d get most of my books from small presses.